I mentioned yesterday that we'd been blown away by the sheer quantity and variety of life in the rockpools out towards Mumbles Head. 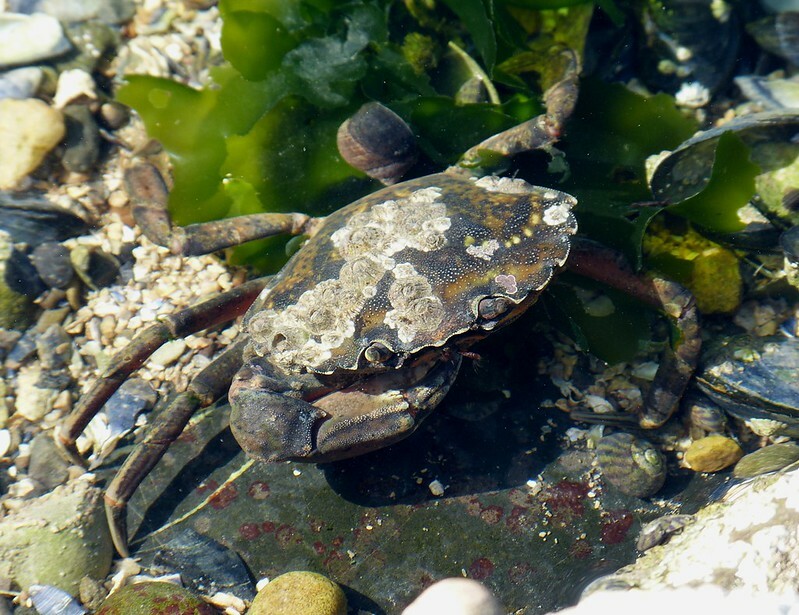 Our first find was this Shore Crab, easily the largest crustacean we've seen on Gower at around six centimetres in diameter. 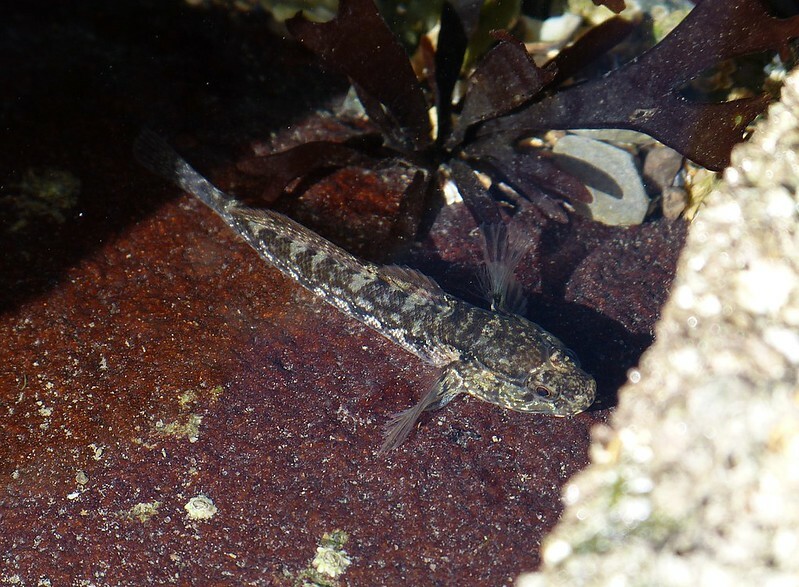 In the same small pool a flash of movement beneath the water alerted me to the presence of a Rock Goby, which then rather handily paused out in the open and in a well lit spot. Normally they are off into cover at the merest hint of something approaching so this was a rare opportunity to get a good look at one. 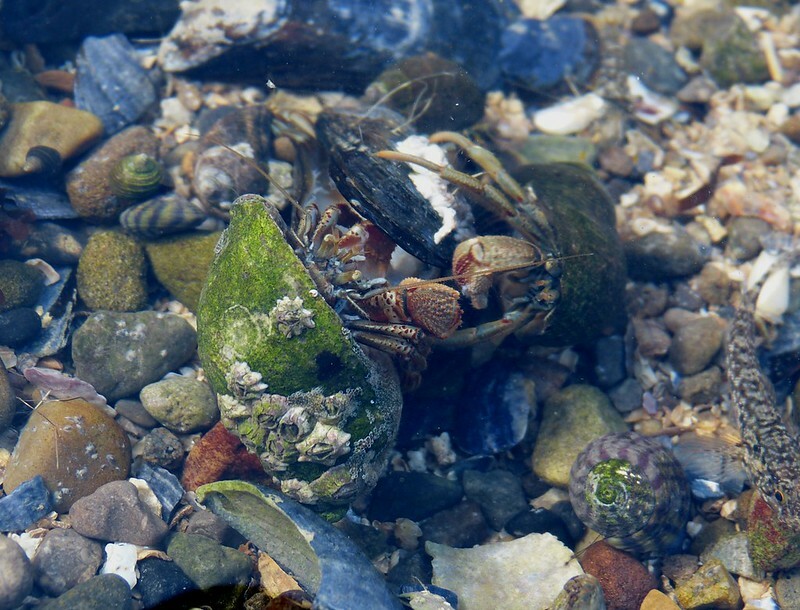 The real action was provided by the Hermit Crabs however, of which there must have been hundreds across the pools we studied. 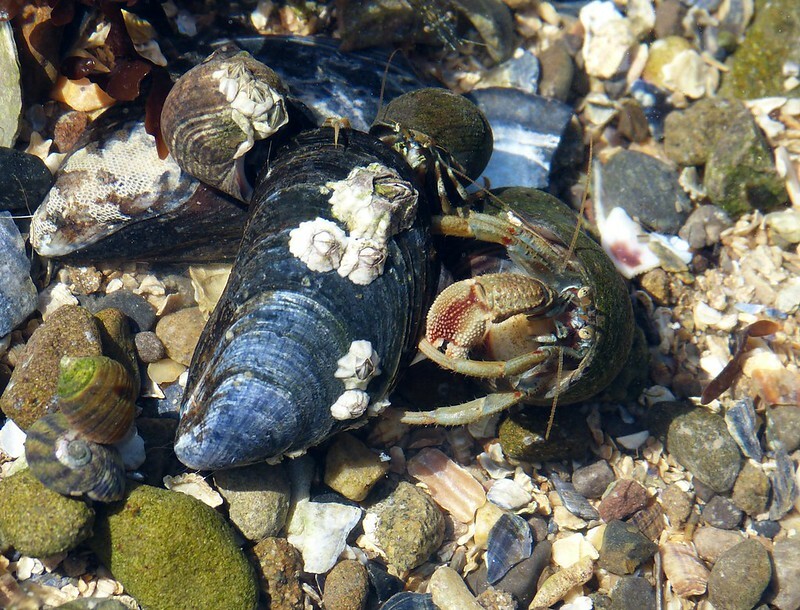 The shallow water was absolutely teaming with them, large and small, but it was this individual attacking a partially opened Mussel that I decided to stay with. At one point another larger Hermit Crab turned up on the scene and proceeded to try and claim dominance over the clearly valuable food source. They went hammer and tongs at each other for a good few minutes, and I'm still not sure who finished up victorious. All I can say is there wasn't much left of the Mussel afterwards. Fortunately I remembered the video mode on my camera and took a few clips as the action above was unfolding. Together they portray the scene far better than a series of photographs ever could, and even feature a couple of other creatures joining in from the sidelines. Battle commences at the 1:47 mark, with a brief appearance from the Rock Goby a few seconds later. Brilliant, I like the video, it's superb. Super video Adam. Now I know why I only ever find empty mussell shells. Great post. I thinking rock pooling is one of the best things you can do on a summer afternoon! PS: I think there is a similar kite to my Black-shouldered Kite in Portugal or Spain. Phil - they don't last long that's for sure. This one was stripped bare before my eyes. Stewart - couldn't agree more!